. . . with the help of the Get It Stoned crew. Did you know that masonry and garden design work can be performed all four seasons of the year? 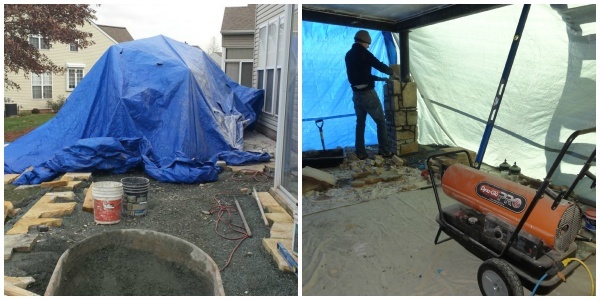 The Get It Stoned crew is just like the mail service – we work through rain, sleet or snow – and our tents keep us nice and warm while protecting your project! Actually, it’s a great idea to have your work done during the off-season months so your property is ready when the warmer weather arrives. 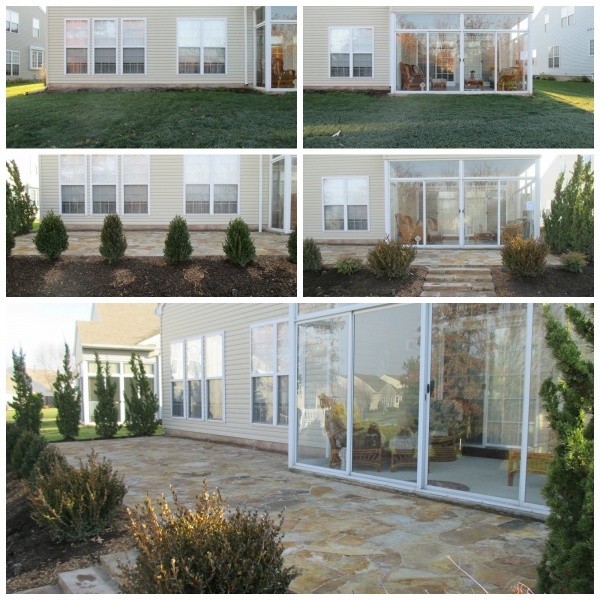 This patio was installed during the Winter, beds were prepared and a limited number of trees and shrubs were installed. Once the threat of freezing temperatures are gone, we will return to plant flowers and assorted greenery. Matter of fact, we offer special off-season and early bird discounts . . . so plan ahead and Get It Stoned!